Go to a desi food restaurant and they’ll be sure to make you wait at least more than half an hour. And the best places which serve desi food do have a tendency to be a tad bit slow. However, if you love desi food and don’t have the time to wait long, for either your lunch break is too short or you have a meeting to get to and want to grab a good meal before that, this Lahori restaurant has come up with a solution. ROTI The Restaurant opened doors to public earlier this January in a basement that was previously occupied by one of Lahore’s oldest restaurants, Copper Kettle. While Copper Kettle has been replaced with ROTI, th enew restaurant doesn’t want you to wait for meals when you can get affordable, quick desi dhaba style lunch in just 5-7 minutes. 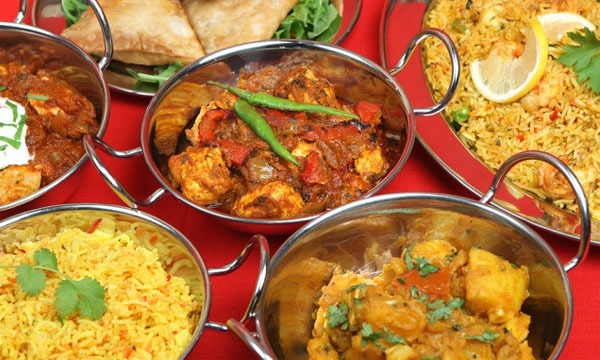 With vegetarian and non-vegetarian options on the menu like Mix Sabzi, Bhunna Gosht, Butter Chicken and Biryani with Palak, ROTI restaurant has a lot covered in the menu. What is more is that, the meals come accompanied with various chutneys like aalu bukhara (plum), mint or imli (tamarind) chutney and salad for a small cost. You can expect to pay an average of Rs.300 for a meal, and one which will definitely fill you up! Doesn’t that sound like a good deal? ROTI is open for lunch 12PM to 4PM on weekdays, open for dinner 7PM to 11PM and on Sundays for brunch it opens 10AM and closes at 3PM.